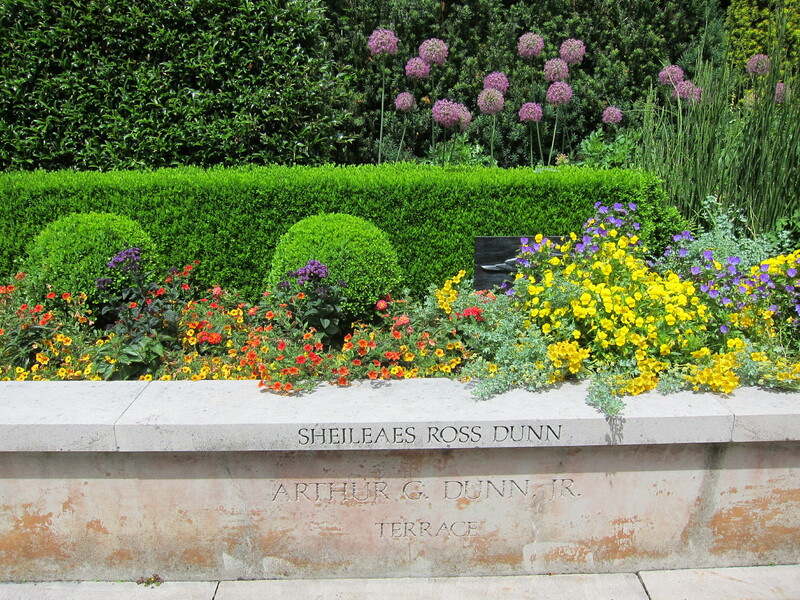 When I was in Seattle recently I was taken by a friend to visit Dunn Gardens www.dunngardens.org. The gardens are nestled in among the conventional suburban Broadview neighborhood and one really needs to know they are there to find them. It is a surprise to drive down a small suburban street, turn right through some unassuming pillars, pass 150 feet tall Douglas firs and find yourself in a very non-suburban landscape. 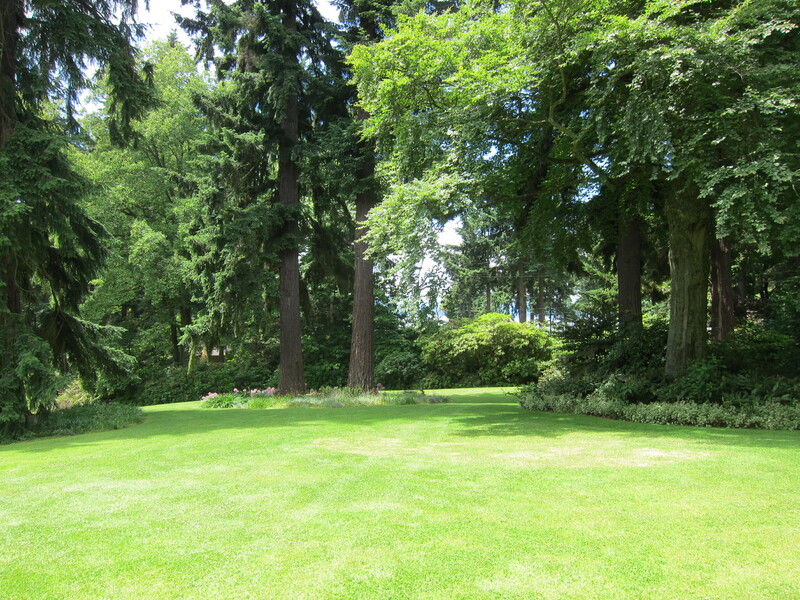 The 10-acre garden was begun in 1916. It is an Olmsted Brother’s design with several of their trademark design elements. The plan incorporated the site’s natural features – the gentle slope down to the view of Puget Sound and Olympic Mountains was definitely a keeper – and retained many of the existing trees while adding many other deciduous trees. There are large irregular groupings of spring flowering shrubs, large drifts of bulbs, curvilinear paths and a Great Lawn. But it is not all Olmsted Brothers. 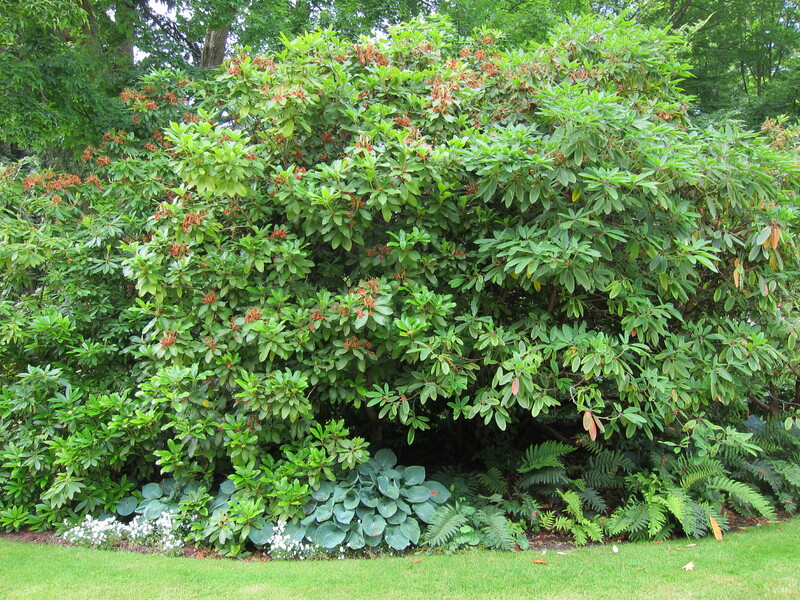 The original owner, Arthur Dunn, was a keen and knowledgeable gardener. He commissioned the Olmsted Brother’s master plan but went on to implement the plan himself, making the changes he wanted while respecting the original plan. Arthur Dunn’s son, E.B. Dunn, began gardening in 1947. He created a woodland garden reminiscent of William Robinson on 2.5 acres of the 10acre property, which he tended for 45 years until 1991. The resulting collaborative garden is delightful, and the family influence on the garden continues up to the present day. There are several houses on the property lived in by Dunn family members and the garden is run by the E.B. 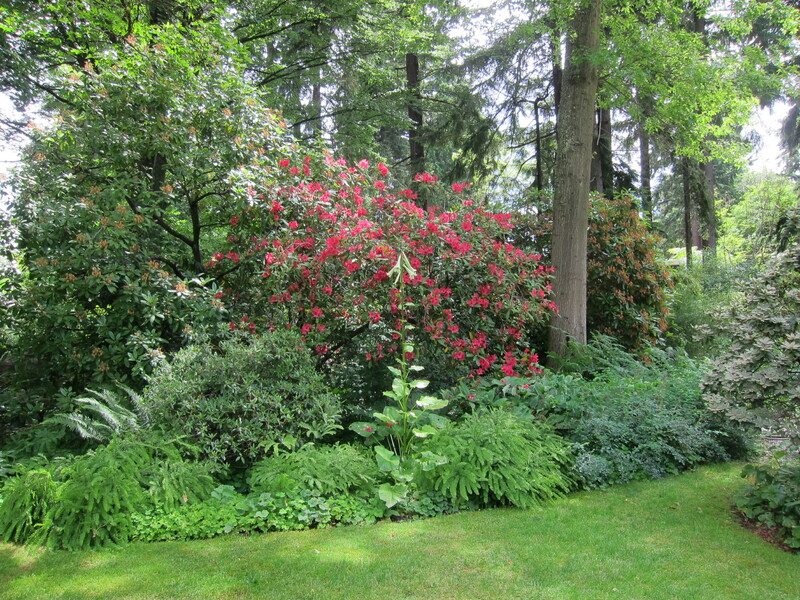 Dunn Historic Garden Trust, which is dedicated to conserving historically significant gardens in the Northwest. The day I was there last week there were two unusual events: the sun was shining and the Cardiocrinum Giganteum were in bloom! 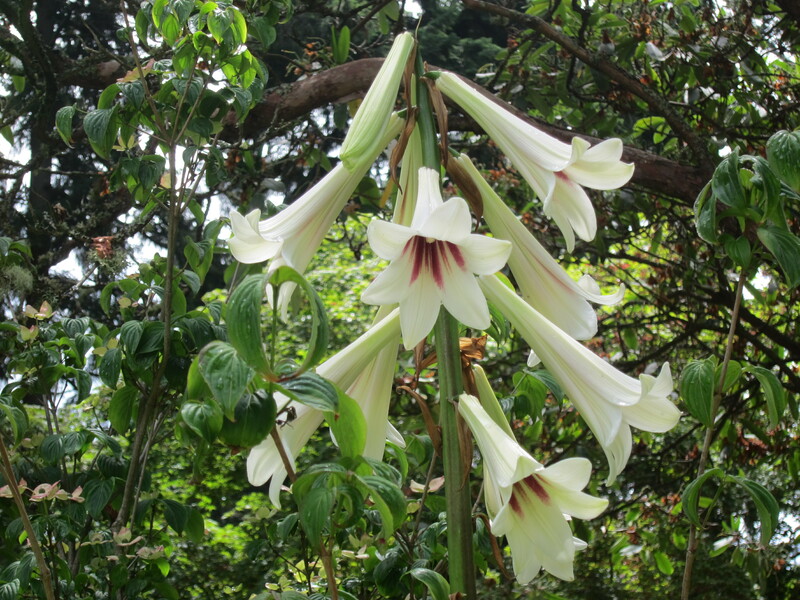 Cardiocrinum Giganteum, or the giant Himalayan lily, was unknown to me until last week. 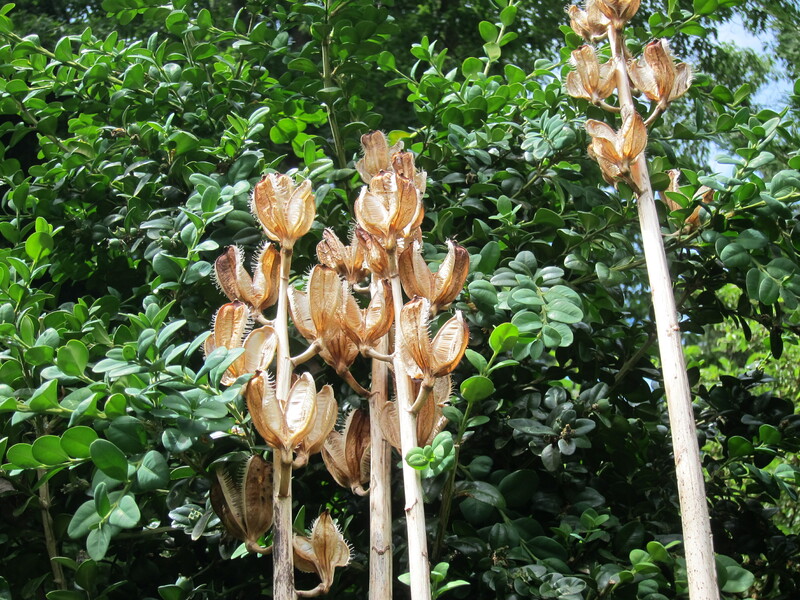 It is the largest species of lily and from seed it can take 7 years (give or take a year) to reach maturity and bloom! It averages 10 feet tall with up to 40 blooms. Once it blooms, it dies, but not before leaving offspring (here’s a new word quasi-monocarpic) and magnificent seed heads. Most put Cardiocrinum Giganteum in Zone 7, but Plant Delights Nursery in Raleigh NC www.plantdelights.com gives it a Zone 6. 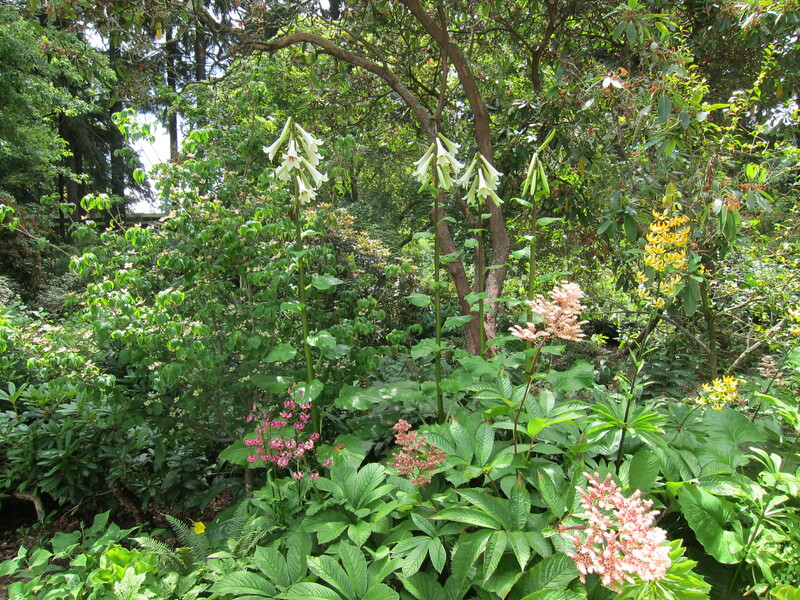 Nevertheless I do not think I will attempt Cardiocrinum Giganteum in my suburban Boston garden. I want to keep it as a memory of a truly lovely day out with my good friend and the thrill of discovery that can still happen. 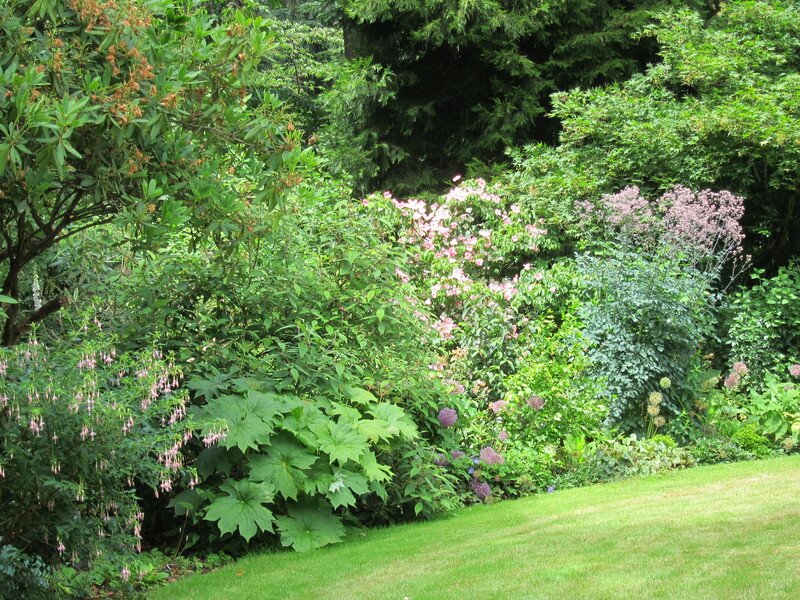 Absolutely beautiful – your garden tours are an amazing journey into history & beauty. Thank you!